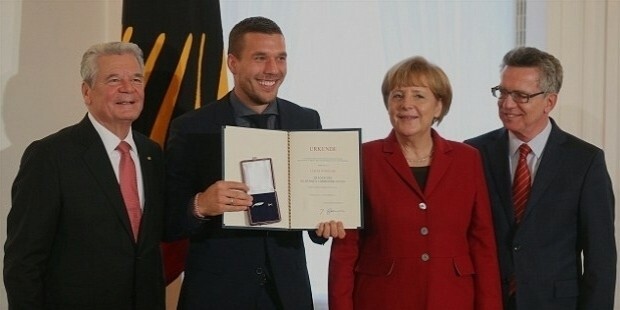 Lukas Josef Podolski is a German footballer, who also plays for Turkish Club Galatasaray. He is third highest capped German player in history, and also third highest scorer with 48 goals and 129 caps. He is a left-footed attacker, and is known for his attaching gameplay as a forward. 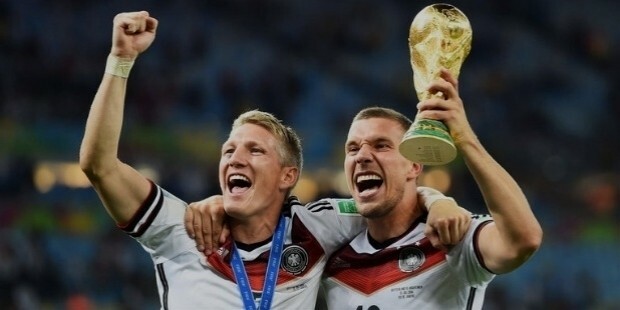 He was eligible to play for Poland and Germany, but chose Germany, and was part of FIFA World Cup winning team in 2014. 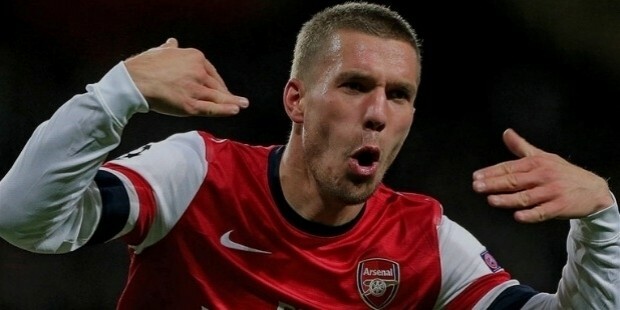 Lukas Podolski was born on 4th June 1985 in Gliwice, Poland to Waldemar Podolski, and Krystyna Podolska. His family moved out of Poland and emigrated to West Germany (now Germany). He was only two years old then, in 1987. Krystyna Podolska has been a former member of the Poland National Handball Team in the Silesian Industrial Town of Gliwice (near Katowice), Poland. Since his paternal grandparents had German citizenship before World War II, they had a status Aussiedier. He grew up in Bergheim, North Rhine-Westphalia. He moved near Cologne, in Pulheim later. He has both Polish and German nationality, but no Polish passport. He has stated that Polish Football Association only became interested in him when he was in media for his performance with German U-21 team. By then, he had made up his mind, despite having two hearts beating in his chest. Podolski has played for various clubs. He was in the youth team of FC 97 Bergheim at the age of 6. 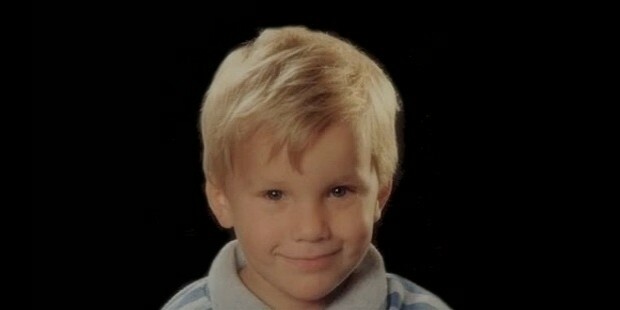 He joined 1.FC Koln at the age of ten. He was still part of the club’s youth side at the age of 18 when the club was in dire state and was battling to avoid relegation. 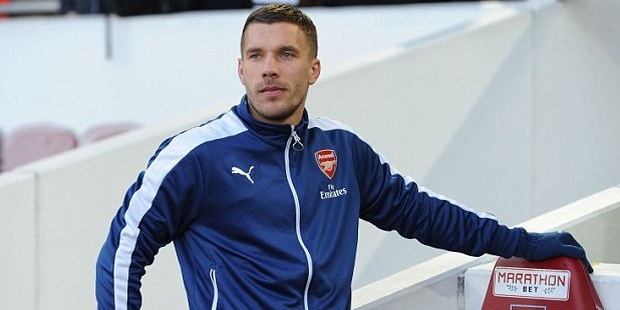 Podolski was invited to train, and made his debut on 22nd November 2013 as a professional football. He scored 10 goals in 19 appearances – the best tally by an 18 year old in the history of Bundesliga. He joined FC Bayern Munich in 2006 on the basis of transfer agreement. After playing for sometime for them, and making his debut for the side on 11th August 2006, coming in as substitute in 88th minute, he made his way back to 1. FC Koln in the year 2009. He had assurance from national team coach Joachim Low that the return won’t cost him his international appearance. He also had a stint with Arsenal in 2012-13, till 2015, and as a loan player to Inter Milan, before signing three year deal with Galatasaray. His major moments came for international team Germany though. He played Euro 2004, 2006 World Cup when Germany finished 3rd, Euro 2008 when Germany lost in finals, 2010 World Cup, where Germany again finished 3rd, Euro 2012 where Germany lost in semi-finals, and the shining moment in 2014 when Germany won the World Cup. He announced his retirement from international football after Euro 2016. 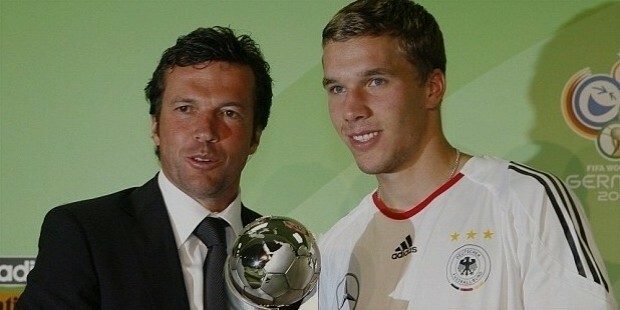 Podolski married his longtime girlfriend Monika Puchalski in Cologne, Germany, in April 2011. They also had a Church Wedding in Poland in June the same year. It was in Kamionna, Wegrow County. Their son, born 14th April 2008, and daughter, born 6th June 2016, are named Louis Gabriel Podoslki and Maya. Podoski is a huge fan of KS Gornik Zabrze.